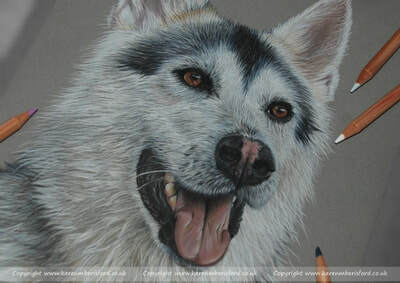 Thourne was a stunning dog, I was fortunate enough to meet him on a few ocassions and I always found his beauty breathtaking. Thourne sadly passed away in 2016 and his owners were heartbroken and so I decided to gift them the portrait that I had created for an Art Workshop in August when I create the Step by Step Workshop booklets for every attendee on the day. 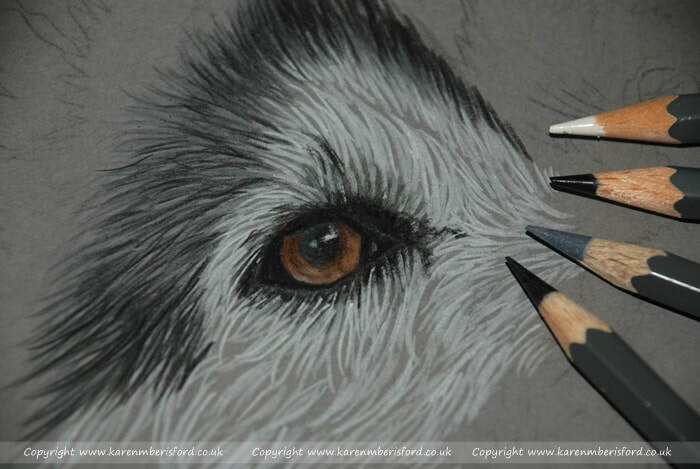 As Thourne is mostly white, I chose a mid grey paper to really compliment his coat and make the detail 'pop'. 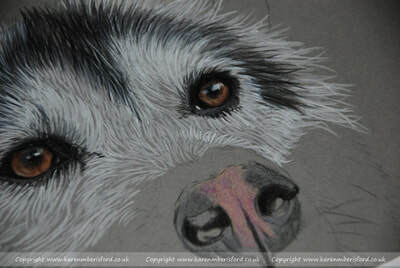 As this was roughly created using cheap pencils purely for my Art Workshop, the initial underlayers were rather loose and lacked tone somewhat. 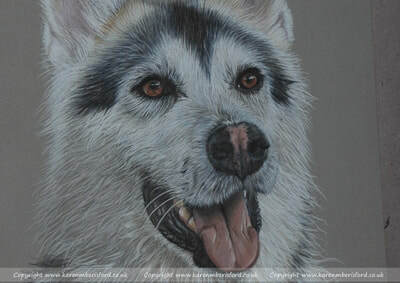 Once the Art Workshop was over, I took the portrait back home, treated it with a fixative and got out my professional and lightfast range of pencils and began building up further layers. 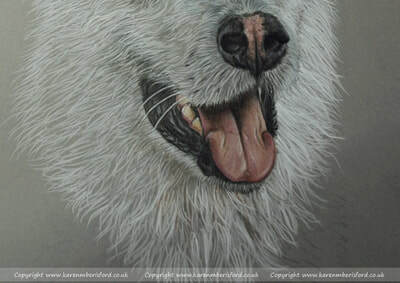 You can see on the 4th photo above how strong the professional 'white' pencil is next to the 'cheap' pencil and I was able to layer numerous tones of greys and beiges in between the white applications to get a good balance of tone and effective detail. 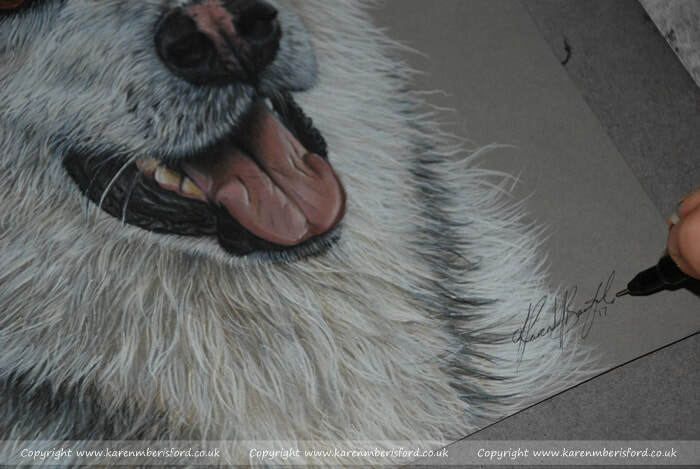 The final portrait was then hand signed and then sprayed with a UV fixative ready to be placed in a protective frame. 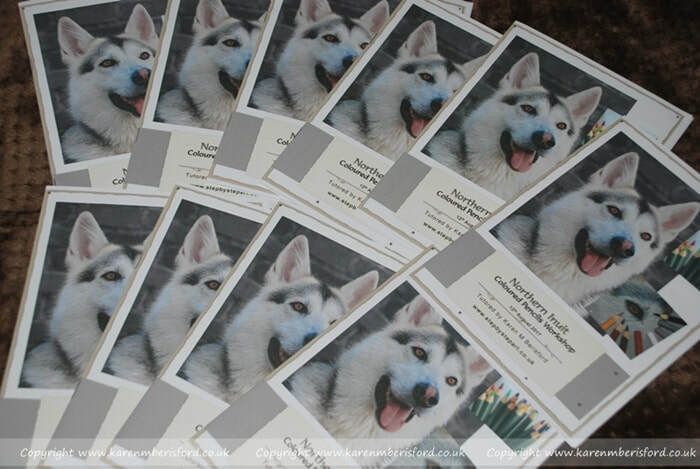 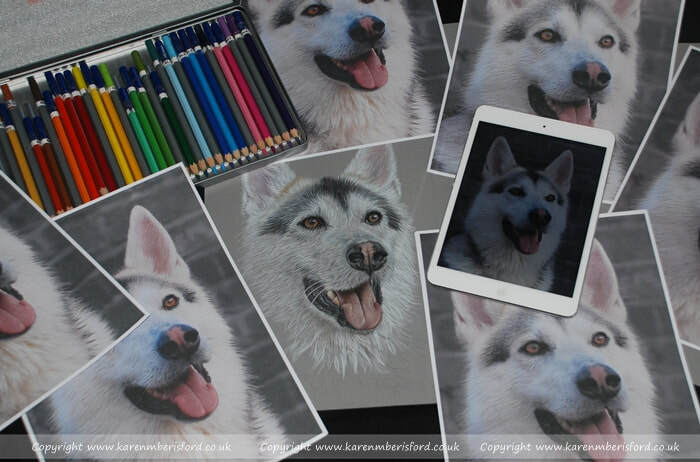 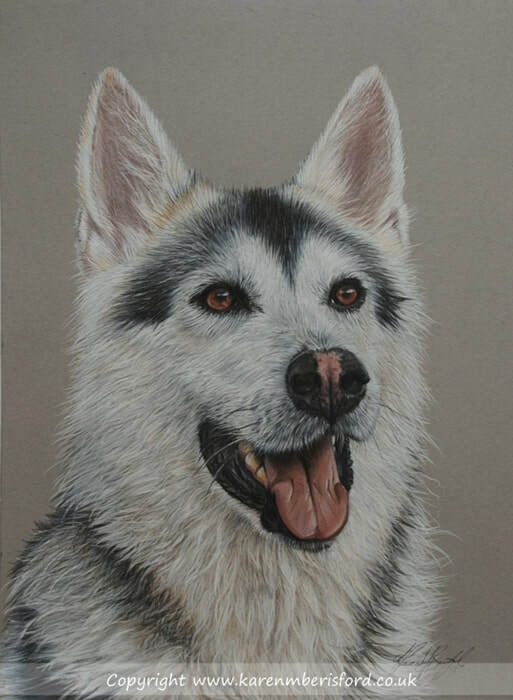 Each year I run a couple of weekend Art Workshops in Coloured pencils and select a subject that will be of high interest to those looking to attend, Thourne the Northern Inuit was the ideal subject and as I create a Workshop booklet for each subject I tutor, I offered his Dad the completed portrait as Thourne had sadly passed over the Rainbow Bridge in 2016 and I thought it would be only right that he had the portrait to remember him by.